This guide is for the PC, Xbox 360, and PlayStation 3 version. For the PlayStation 2, PSP and Wii version, see Ghostbusters: The Video Game (Nintendo Wii). For the Nintendo DS version, see Ghostbusters: The Video Game (Nintendo DS). 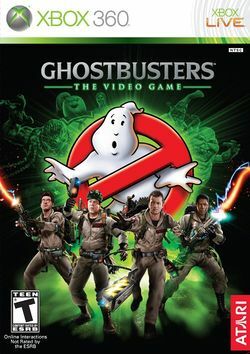 Ghostbusters: The Video Game is a third-person shooter developed for Windows, Xbox 360, and PlayStation 3 by Terminal Reality (the single player career mode) and Threewave Software (multiplayer mode) and published by Atari Interactive. In Europe, the PS3 version of the game is published by Sony Computer Entertainment Europe. Set several years after the events of the two Ghostbusters movies, the game portrays the player as "the Rookie," an unnamed newly recruited member of the Ghostbusters team assigned to test out dangerous experimental equipment just as a massive psychokinetic pulse sends New York City into yet another paranormal panic.